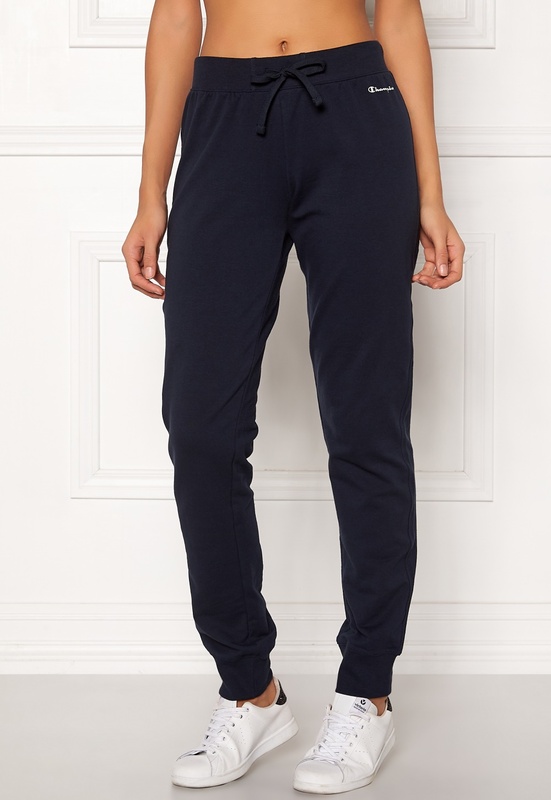 Comfortable sweatpants from CHAMPION. The pants are made from a wonderful cotton mix and have a stretchy quality. - Elasticated at the waist with a drawstring - Logo on the left hip - Cuffed at the bottom of the legs - Regular fit Inside leg 78 cm, front rise 23.5 cm, waist 72 cm, in size S. The model is 176 cm tall and wears a size S. Machine wash at 30 degrees.